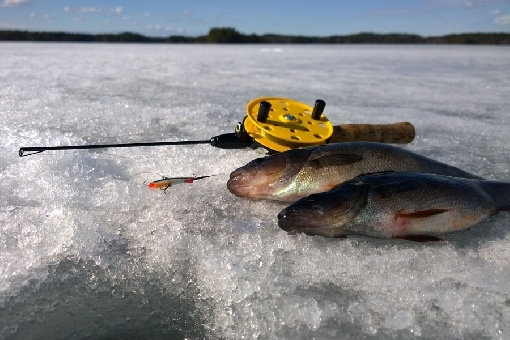 During last weeks there have been excellent opportunities for ice-fishing on the lakes of Finland. It was easy to go on the ice by kicksleds or by other means. The warm days of early April with both sunny and rainy days have fastly weakened the ice cover in Southern and Central Finland. There have been several reports on newspapers of people falling through ice. Unfortunately, some of them drowned. Now it is time to put ice augers and ice fishing tackle back to basement and start to plan the fishing trips of upcoming open water season. Only on the waters of Northern Finland there is still chance to try angling through an icehole. Photo above: Ismo Kolari. "Last ice fishing perch of spring."